Experts from across Europe are in Malta this week to push for the introduction of policies to safeguard Maltese bees, which they say may soon face extinction. Speaking to this newspaper ahead of a conference being held today and tomorrow, entomologist and senior lecturer at the University’s Institute of Earth Systems, David Mifsud said that experts from some 12 countries would be presenting data collected through the EU-funded project SmartBees. The research project is a collaborative one between 16 partners from universities, research institutions and companies across Europe. The team working on the project is made up of geneticists, molecular biologists, parasitologists, virologists, immunologists, communication specialists, mathematicians and bee specialists. “There are bees all around the world that are endemic through evolution, and Malta has one such species. “Unfortunately, this is one of the most endangered species, and that is why the conference is being held here. “We want to do everything we can to make sure there are conservation projects in place,” Dr Mifsud said. The project serves to identify crucial facets of honeybee resistance to colony losses while also attempting to develop breeding strategies to increase the frequencies of these traits in local honeybee populations. Through the SmartBees project, local breeding efforts are also promoted in an attempt to conserve local, resilient populations. 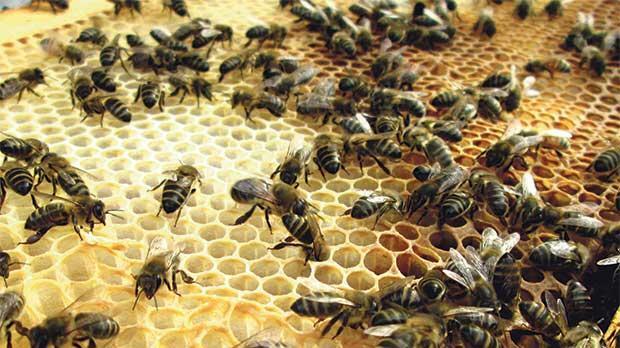 Beekeepers have expressed concerns that rampant importation of subspecies could be endangering the unique genetic identity of the Maltese bee, scientifically known as Apis mellifera ruttneri. The Association of Maltese Beekeepers has also raised its concerns that exposing the endemic species to pests through such an importation practice could ultimately lead to the loss of the bee’s unique genetic identity.